I find it remarkable that a region so steeped in tradition and history is also as forward-thinking as Alsace, with its wine producers and lawmakers willing to work together to break new ground. To cite just one example: how many times have you heard that it is impossible in the modern age to identify and classify the top sites in a wine production area? 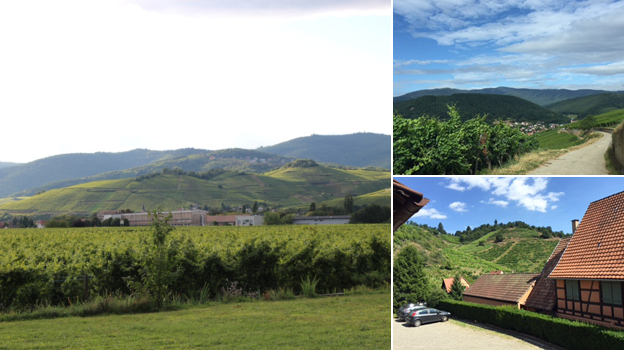 Well, in 1975 Alsace began that complicated process by delimiting its grand cru vineyards. And although the way those sites were drawn up was not beyond criticism (see below), at least a workable, easy-to-grasp classification was devised. In fact, this step has proven so successful that even those estates that most strenuously resisted it initially have finally caved in. Trimbach and Hugel, for example, are now producing wines whose labels clearly indicate either the name of a grand cru or a specific site. 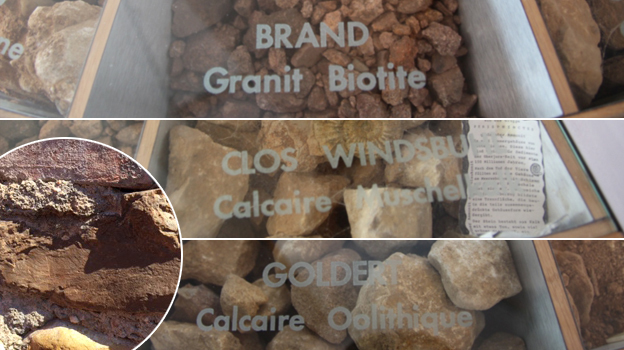 Another example of Alsace’s pragmatic, let’s-get-it-done approach is how the region, famous for its outstanding late-harvest sweet wines, went about creating production guidelines for these bottlings, establishing the rules by which Vendanges Tardives and Séléction de Grains Nobles wines can be made (with the significant contribution of the late, great Johnny Hugel). In other countries, such as Italy for example, it’s unclear to consumers most of the time whether they are drinking a sweet wine made from air-dried or late-harvested grapes, or both. Most important, in the 1960s Alsace identified its noblest grapes and has steadfastly remained anchored to the varieties and wines for which the region has always been best known. When the international trend of the late 1970s and ‘80s toward planting Chardonnay and other international varieties reached Alsace, it was intelligently stopped cold. Clearly, given the region’s northerly location, planting Cabernet Sauvignon and Merlot was never an issue, but Chardonnay has never been elevated to grand cru status in Alsace either, even though some of the region’s producers did push for this possibility. Thus Alsace has avoided the plight of many other wine regions of the world that now make copious amounts of essentially interchangeable Chardonnays, Cabernets and Merlots that no one wants to drink. Alsace’s bent for moving forward while hanging onto tradition is also illustrated by the new premier cru classification now in the works. Clearly, the grand cru system has one major flaw. For the most part, most of Alsace’s grand cru vineyards are far too large to offer truly site-specific wines. Furthermore, almost every wine-producing village in Alsace felt it needed to have its own grand cru, which stretched the grand cru classification to include sites that aren’t really of top caliber and thus ultimately diminished its value (both commercially and intellectually). Moreover, other high-quality sites went unrecognized, such as the many clos (walled vineyards), as well as those sites that deserved better than the simple lieu-dit names by which they are referred to today. Alsace is now moving to create its own set of premier cru vineyards, in the manner of Burgundy. One might argue that rather than just elevate the best lieux-dits to premier cru status, it might have been better to also re-examine the current grand crus, many of which should probably be reduced in size by cleaving off portions that would more appropriately be premier crus. Clearly this would be a highly unpopular – and politically impossible – move. As it is, many Alsace wines that say grand cru on the label don’t fetch especially high prices, and deservedly so. My hope is that one day Alsace’s lawmakers will have the courage to take a long, hard look at the current grand cru breakdown and make the kinds of changes that are necessary for Alsace to further improve its wines and increase its wine sales around the world. In any event, the new premier crus will join the already established categories of regional Alsace A.C.s, Alsace Crémant, and the region’s 51 grand crus. 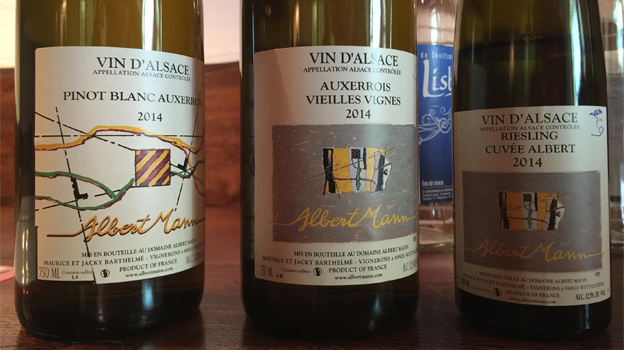 Currently, the Alsace Vintners Association is accumulating dossiers to support the more than 100 requests for premier cru classification that have been made thus far. For vineyards ultimately promoted to premier cru status, requirements as to yields, planting density and minimum alcohol levels will be stricter than those required for Alsace A.C., for example. A series of tastings organized by each village and conducted by the local winemakers is also part of the process. In order for a lieu-dit site to be elevated to premier cru status, its wines would need to exhibit the characteristics of that site in every vintage, warm or cold. The current expectation is that the first premier cru sites will be named within the next five to ten years, a period of time that many estate owners believe is far too long in the Internet Age. In any event, lieux-dits such as Westhalten’s Lutzenthal and Turckheim’s Heimbourg deserve to be promoted to premier cru status based on the quality of the wines that have come from those vineyards in recent years. Possibly for the first time ever, I came away from my tastings of Alsace’s new releases last summer wondering about virtually every producer’s incessant – dare I say obsessive – drive to highlight even the minutest differences between their terroirs, which results in an almost endless lineup of different wines every year. To be clear, I am one of the world’s staunchest defenders of terroir differences in wine (when they are actually meaningful and not just a marketing ploy) but this year I was left scratching my head. Might Alsace’s producers be taking a good thing a bit too far, I wondered. For example, in 2014 there were producers who felt it necessary to still bottle four or five different Gewürztraminers in a vintage that is the absolute worst in memory for the variety. Why produce so many different 2014 Gewürzes and have a very poor entry-level wine to boot? Other estates insist on making four or five different Rieslings every year from obscure lieux-dits that offer little in the way of true diversity or are characterized by nuances so faint that they will be lost on 99% of the world’s wine lovers. Alsace runs the risk of turning what is a real plus (the ability to make recognizably different wines from multiple distinctive terroirs) into a minus. Simply too many producers insist on making numerous site-designated bottlings even in poor vintages in which declassifying most of this fruit would help them make much better entry-level wine. The 2015 and 2014 vintages weren’t especially easy on growers and winemakers. While there were no disease pressures in 2015, the growing season was hot and dry and many wines betray difficulties with water stress. In contrast, 2014 was plagued by generally cold weather, as well as significant problems with the Japanese fruit fly Drosophila suzukii, a pest that eats red-colored fruits, thereby causing acetic rot in grape varieties like Pinot Noir, Gewürztraminer, the red-berried Muscats and even Pinot Gris. Overall, the wines of 2015 are showy and easy to understand while the 2014s are high-acid wines. Some of latter – especially Rieslings – are more perfumed and refined than growers and critics originally expected. The 2015 vintage was very dry and hot throughout most of the growth cycle. From the beginning of May to August 18 there was barely over an inch of rain. Not surprisingly, in 2015 disease pressure was scarce, and the harvest began and ended about ten days earlier than usual. For example, at Ostertag the last Rieslings grapes were brought in on September 30 while normally they are picked in mid-October. Extreme ripeness was an issue in 2015, with many producers worried about bottling fully dry wines pushing 15% alcohol or more. A precipitous drop in total acidity in the grapes was another concern, given the overall hot growing conditions, but wines with insufficient acidity are less common than initially feared. Clearly, older vines with deep root systems and those vineyard sites with at least some clay soil were at a clear advantage in 2015. Yeasts also had a tough time in 2015, with most producers reporting slower-than-usual fermentations. In the end, 2015 is a vintage of broad, large-scaled wines, and the generally small, thick-skinned berries made for some truly mammoth bottlings. Look for the outstanding Gewürztraminers from this vintage – they are truly some of the best ever made in Alsace. Quite simply, 2015 is close to a once-in-a-lifetime vintage for Gewürztraminer. In a similar vein, the Sylvaners are some of the richest and showiest in memory. There is little question Riesling did best in 2014. For the most part, the 2014s are energetic, dynamic and vertical – rather than horizontal – wines. Think Gothic steeples, not Baroque domes. The secret to success in 2014 was very strict selection of the grapes in the vineyard and on the sorting table, with careful elimination of berries damaged by the fruit flies, a time-consuming and costly process. Not surprisingly, Gewürztraminer, a variety that likes heat and hates rain, had a horrible time in the cool conditions of 2014. Most of these wines are eminently forgettable. Neither 2014 nor 2015 will be remembered as great vintages for late-harvest wines as noble rot was scarce in both years. In 2014, either rain washed away whatever rot there was or producers didn’t want to risk leaving their grapes on the vines long enough for it to form. Two thousand fifteen was simply too hot and dry for botrytis cinerea to appear. But 2015 did produce some rich, unctuous sweet wines marked mainly by passerillage (air-drying of the grapes directly on the vine). I tasted the wines reviewed in this report at the wineries during three weeks of visits in August and September of 2016. I also tasted many additional wines courtesy of CIVA (the Conseil Interprofessionel des Vins d’Alsace) in Colmar that will be featured in an upcoming supplement to this article.